Appriss Retail has recently announced it has processed more than three billion real-time requests for analytics-driven decisions. The achievement underscores the company’s continued growth as the top provider of artificial intelligence solutions for major retailers. The company has return authorization solutions deployed in more than 34,000 stores in North America. The data gathered through the three billion transactions provides Appriss Retail with an understanding of shopping trends and patterns to help retailers improve customer service at the return counter, identify consumer behavior, optimize return rates, reduce fraud and shrink, and increase sales. 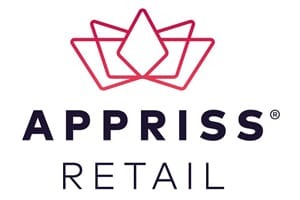 Appriss Retail’s return authorization solution, Verify®, enables retailers to rely on actual, individual, consumer behavior data to render a fair decision on merchandise returns, rather than relying on simple rules or subjective observations and guesswork by sales clerks. This objectivity enables a positive customer experience by quickly approving all legitimate returns and ensuring only those consumers with highly suspect return-and-exchange behavior are addressed. The Verify solution from Appriss Retail is designed to reduce return fraud and abuse, a $17.6 billion to $22.8 billion per year problem in the United States. In fact, for every $100 in returns, fraud and abuse costs retailers $5.00 to $6.50 in losses. As consumers return merchandise, Verify examines the transaction utilizing complex analytical models and provides data-driven decisions in milliseconds. It is designed to distinguish and deter the less than 1 percent of consumers whose behaviors mimic return fraud or abuse, while ensuring good customers that make returns as part of their regular shopping experience are treated fairly. Verify is one of the company’s portfolio of performance improvement tools, which also includes Incent™ targeted incentives and Secure™ retail analytics.